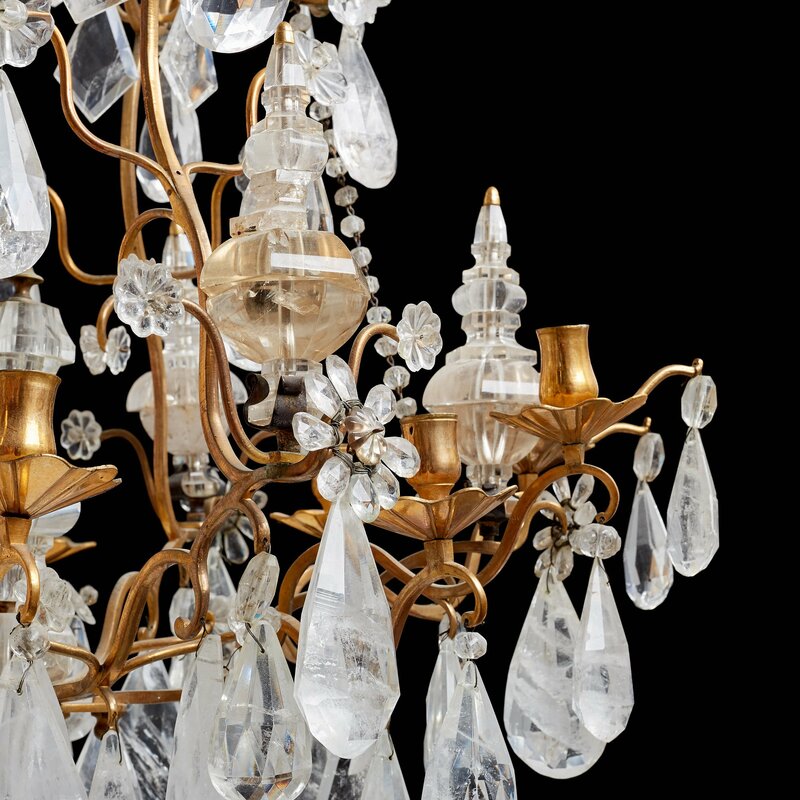 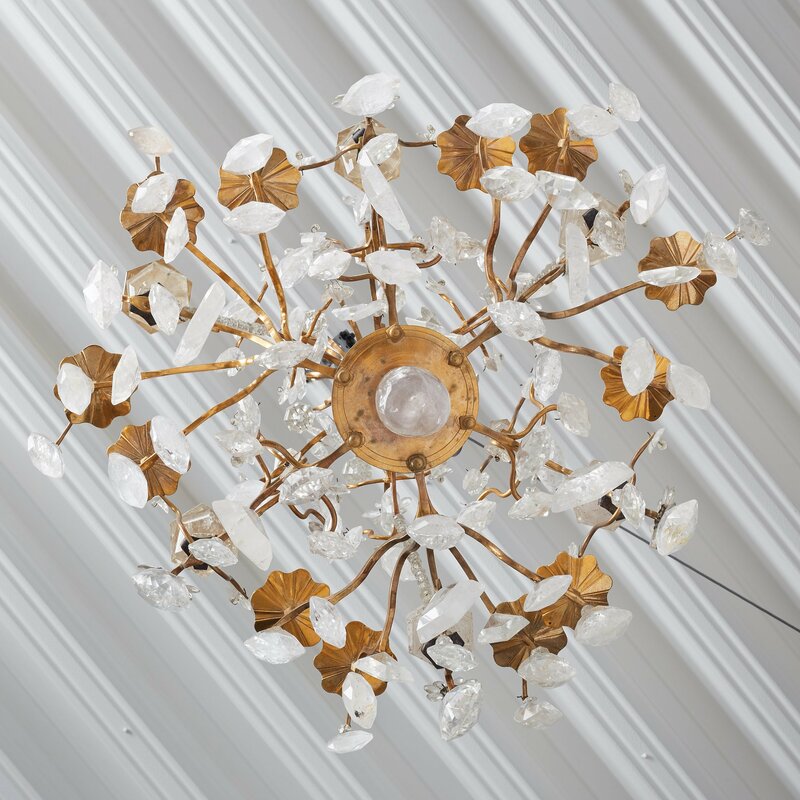 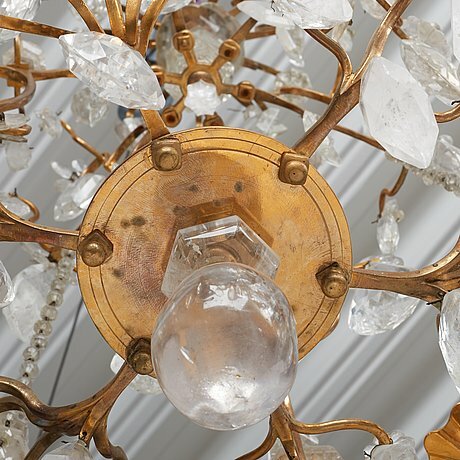 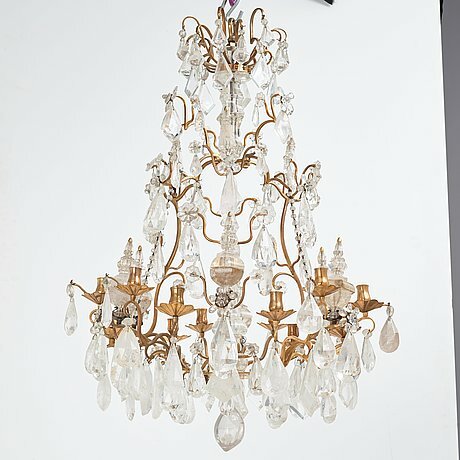 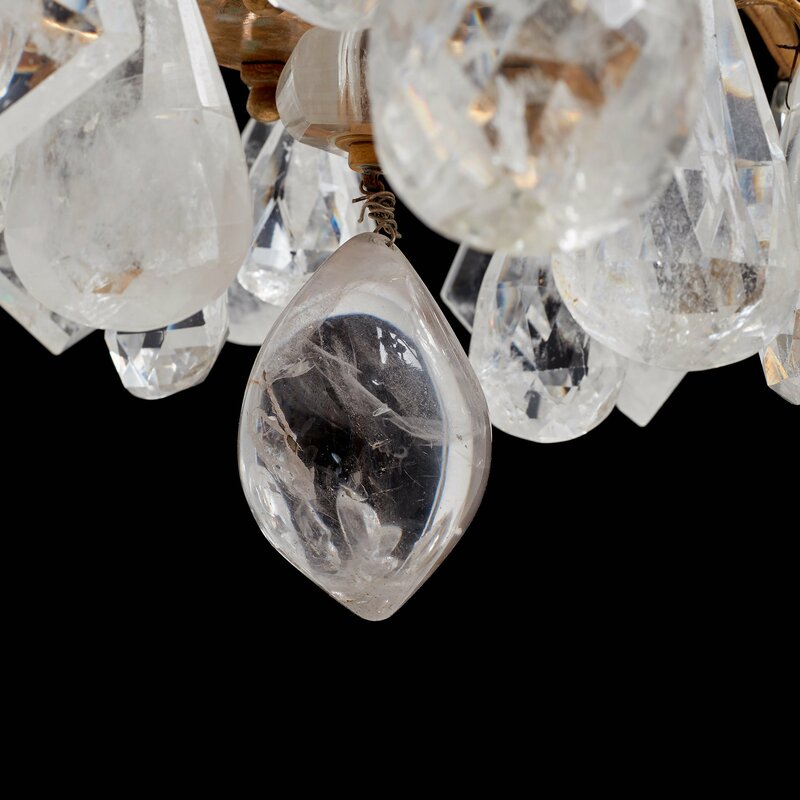 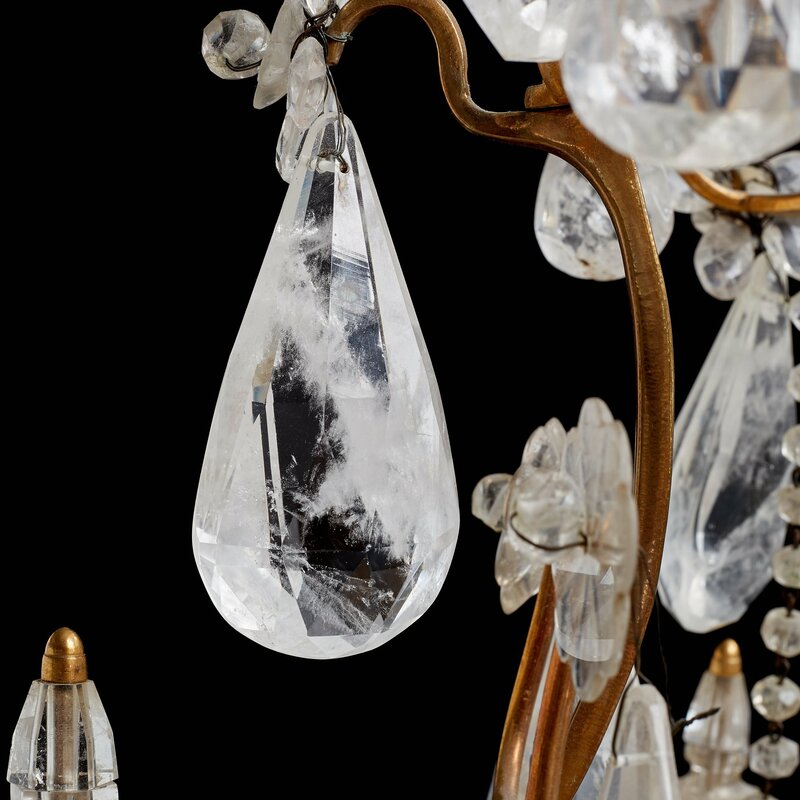 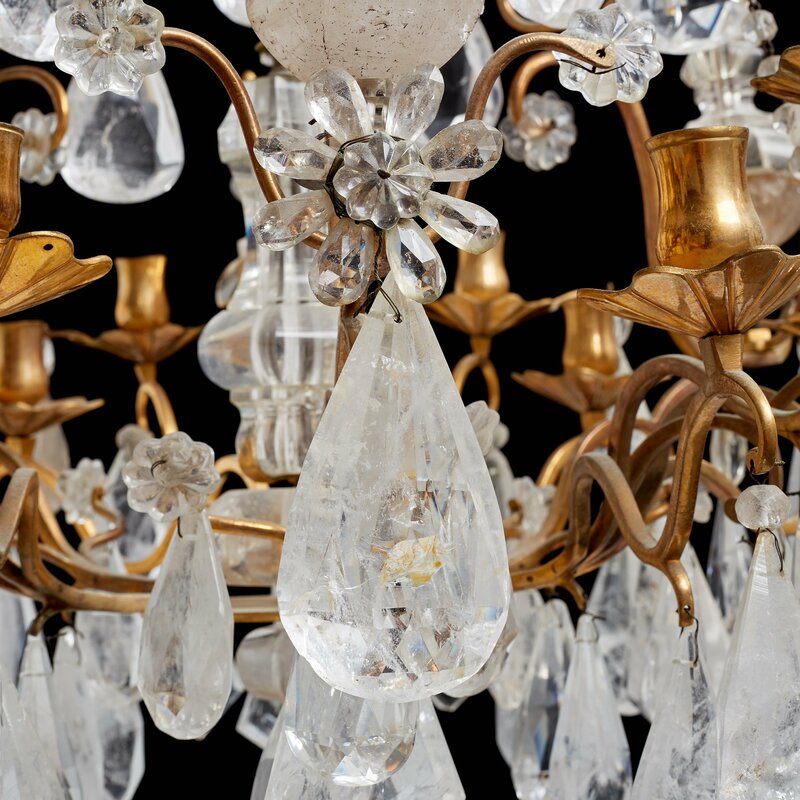 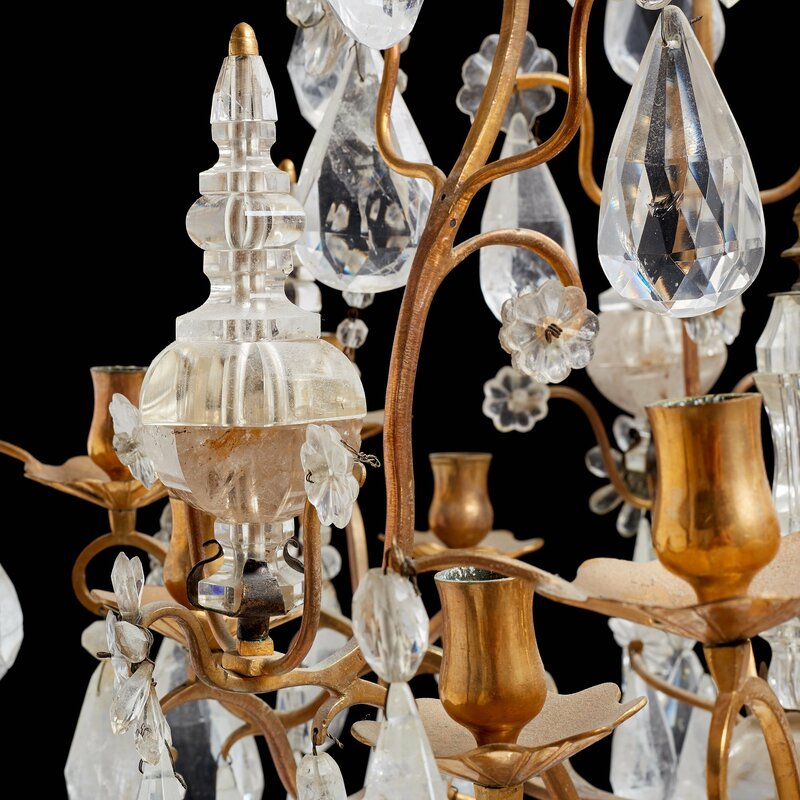 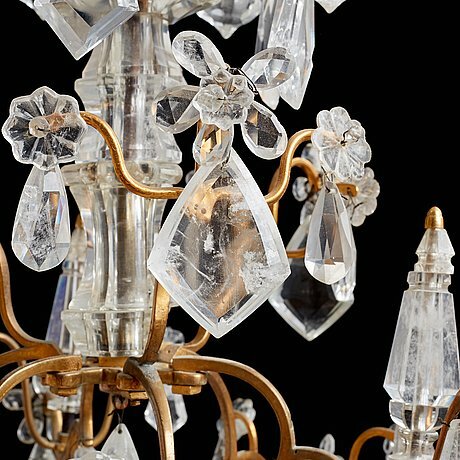 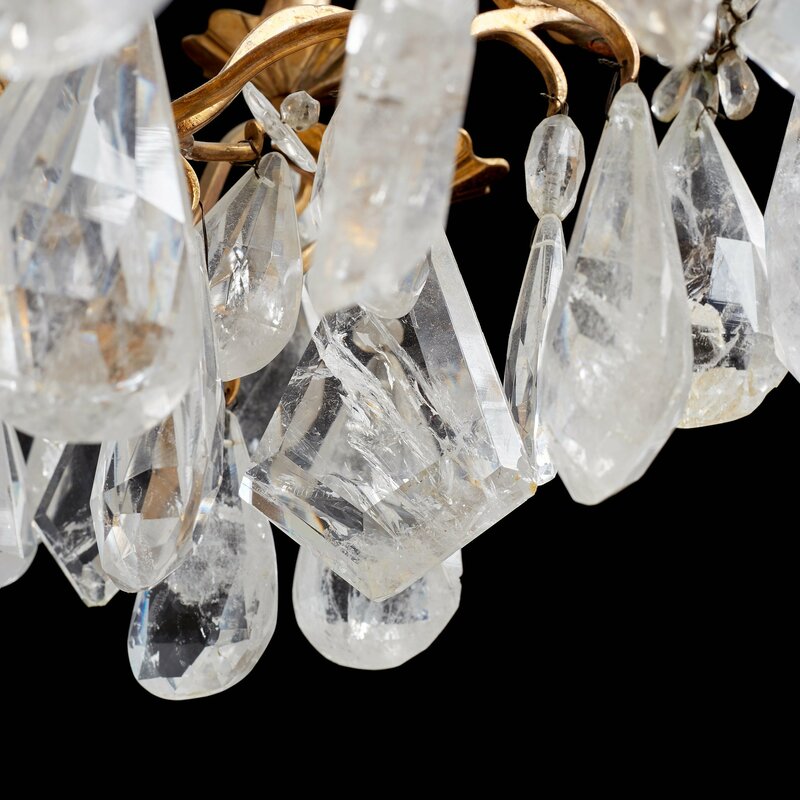 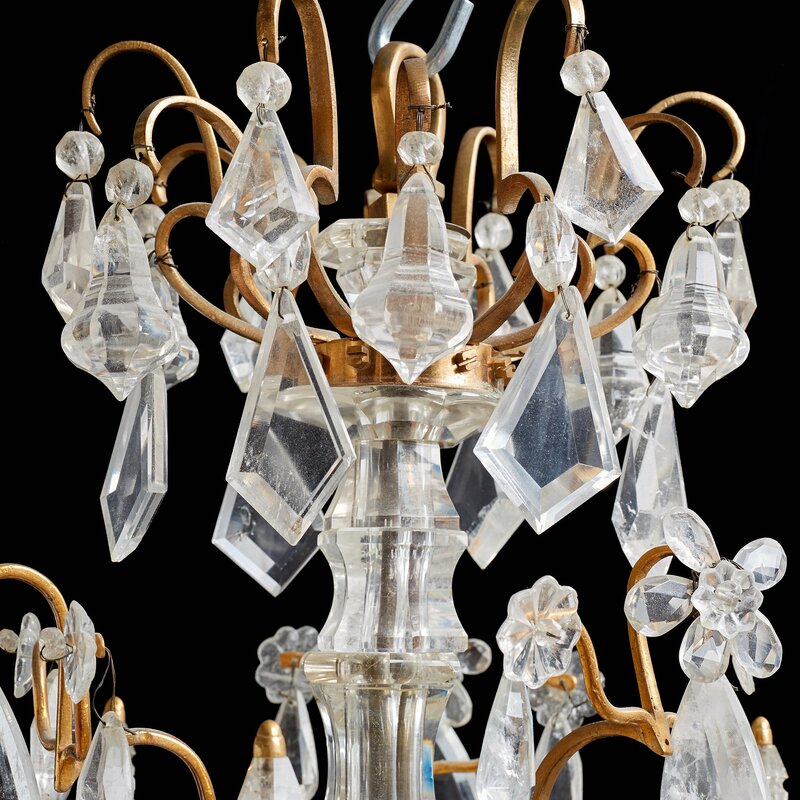 A French 19th century twelve-light chandelier. 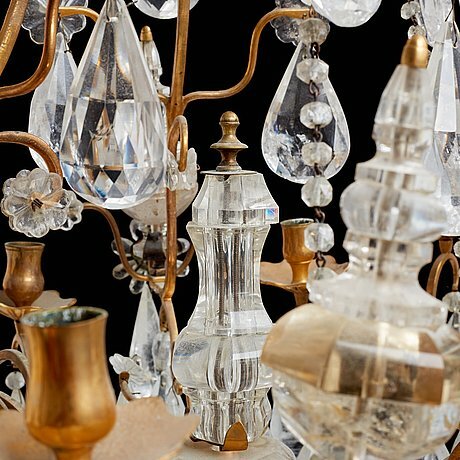 Gilt brass and rock crystal. 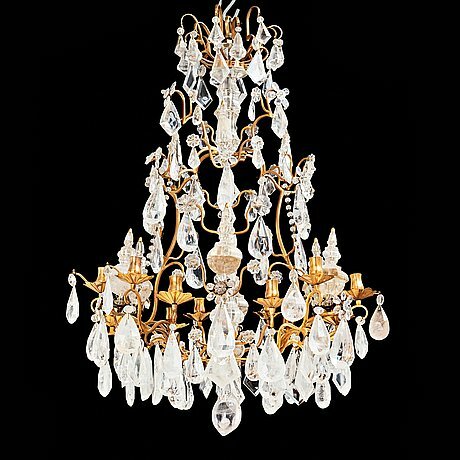 Height 96, diam 65 cm.